Two days have passed since the exhibition, and many people have admired us. But I can’t speak English. However, I can understand that I am thinking that it is really nice because of the glow of eyes. In Japan it would be hard to find straight emotional expressions like this. I came to Milan and was greatly affected. And I was able to influence others in the venue. I am extremely pleased as this as a creator. It would be wonderful if I could speak English. . .
Bamboo’s The most important work is the making a material called [higo]. It takes 3 years to do it properly. If that was important, I wanted to make something based on that. 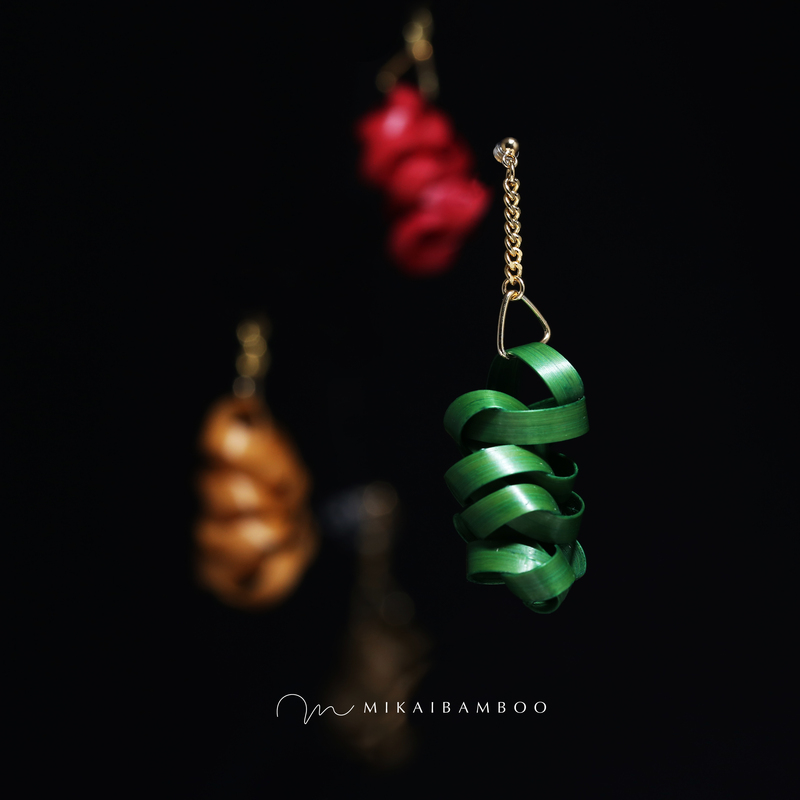 I figured out a new way of making earrings [ICHI]. The beauty of bamboo is supple and shiny. I am always impressed with this beauty. And it is making from a single [higo]. It is finished with “lacquer” good compatibility with bamboo. I will choose one bamboo to use. I will cut one by one. Because bamboo used in MIKAI BAMBOO has several conditions. It is not be easy.